Pros - Fun and smooth, good value and nice looking. Provide two versions of pads. 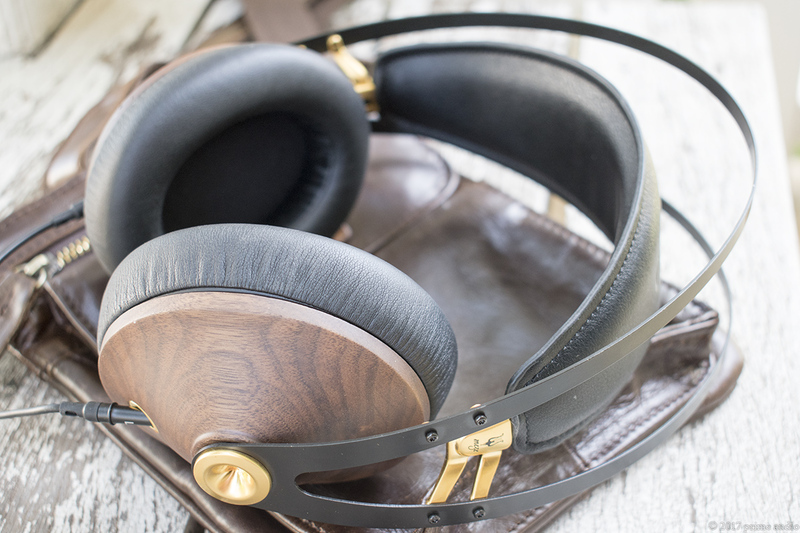 Massdrop x Meze 99 Noir are smooth and fun headphones with elevation in bass. For closed headphones, the staging is wide. Before delivery, I have been aware that there are some discussion and comparison about the original pads and the new pads in Meze's later production (which are supposedly to be bigger and more comfortable). At the end, the guys in Massdrop and Meze did a great decision for the MD version, which is providing both the new pads as well as the "Revised" original pads in the package. Having heard the previous discussion about how the pads affect the sound quality, I have decided to stick to the revised pads. Inside the earpads it is a bit congested but acceptable. I use a 8 core OFC 7N balanced cable with DP-X1A. 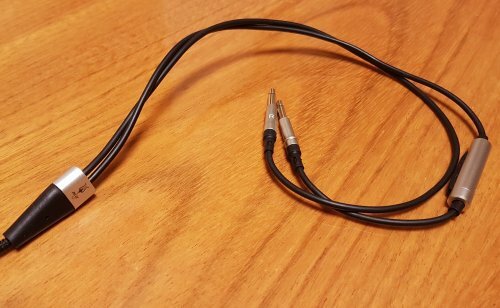 Compared with the stock cable, I feel the vocal is a tad more forward. The bass is more impactful. It is a bliss to listen to the titled track of Ondekoza's Fujiyama (鬼太鼓座 富嶽百景)- the drumming is just oh so powerful. (RO) Listening to "Uh Uh" Thundercat's Drunk, I could hear the details in the bass solo quite clearly. (NP) The bass is less boomy here and less detailed. (RO) For Norah Jones' "Burn" in Day Breaks, the separation is good that I could hear Wayne Shorter's pure sax clearly even when Norah sings (also the good separation between piano + double bass + sax in the outro). (NP) Wayne Shorter's sax is less prominent here. His sax is less detailed when Norah sings at the same time. (RO) On the titled track + "Cure" of Moonchild's Voyager. the vocal of Amber Narvan is as intimate as ever against the good dynamic syn-bass. (NP) The bass is far less present and less dynamic and Amber's vocal has less sparkle. (RO) On Queen's "Dragon Attack" in The Game, the bass solo is more present (but Brian May's guitar solo in the middle is somewhat recessed). John's bassline is more detailed even when Freddie sings. You can feel how groovy John is here. (NP)The bass solo is less forward and less detailed. "Manha De Carnaval" in The Paul Desmond Quartet's Live, the double bass provides good dynamic to support Paul's more forward alto solo. The bass-solo in the middle is quite present and detailed. I have some problem with "Capicornus" in Austin Peralta's Endless Planets, the double bass is so overwhelming. But I guess it is about the problem of the recording. Marina and the Diamonds' "I'm a Ruin" in Froot is a song with strong bass and sweet vocal. The separation is good that the punchy bass does not veil Marina’s vocal. On James Gang's "The Bomber" in Rides Again, the guitar and bass solo both manifest themselves in a nice balance way. Having said that, the bass is detailed and with slow decay. Black Sabbath's songs like "Sabbra Cadabra" of Sabbath Bloody Sabbath, or "Neon Knight" in Heaven and Hell, these phones help reproduce the signature wall of sound (Tony's guitar and Geezer's bassline). On Judas Priest's "Painkiller" of The Essential, I am somehow surprised (in a nice way) by how detailed yet impactful the drum-kicking in the background. On The Dave Brubeck Quartet's "Sounds of the Loop" in Jazz Impressions of the U.S.A., each note of the double bass, again, is detailed in the background. The imaging of the instruments is quite clear - Desmond's Alto and Dave's piano is the front and Joe's drum set is a bit farther and Gene's double bass is in the back. Joe Morello's lengthy drum solo is quite present here. (RO) On 陳潔麗 Lily Chan's live rendition "非走不可/男朋友/祝君安好" from her Purely For You 2013 Concert, the vocal is sweet. (NP) The vocal has less sparkle here and bass is quieter. The titled track of Michael Franks' Tiger in the Rain (WARNING: 2015 Remastered Version) is badly remastered and the the bass is unnecessarily elevated. The song has almost reached the point of unlistenable thru the Noir. On Agnes Obel's "Familiar" from Citizen of Glass, the double bass here is very clear and dynamic. BADBADNOTGOOD's "Kaleidoscope" from the III Album, the epic bass solo is impactful but it seems the decay is a tad too slow. Firstly I would like to thank Meze for sending me this sample, they have been used for well over 50hrs before writing this review. 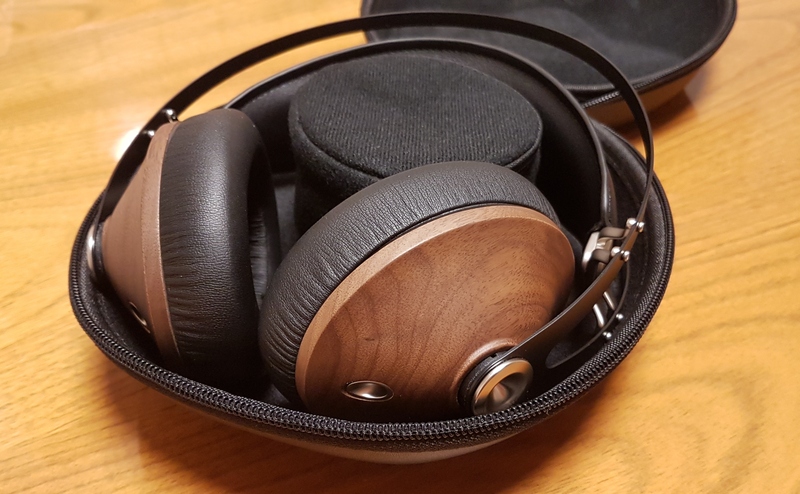 The Meze 99 Classics come in a lovely box, with a picture of the headphones on the front, a frequency graph and tech specs on one side and features on the other. On the back it is just black with the shape of the headphones in a glossy black outline. The packaging looks and feels great, you open the front via a magnetic flap and inside you will find the headphone case, and inside this are the headphones and accessories. I really like the detailing on the outer packaging; it is a great first impression. 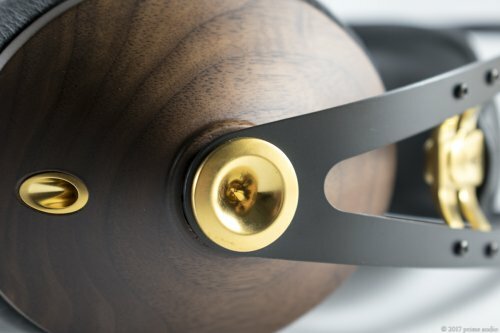 Built quality is flawless; each pair will be unique due to the wood having a different shade/grain naturally. The cups are impeccably finished and everything feels great. 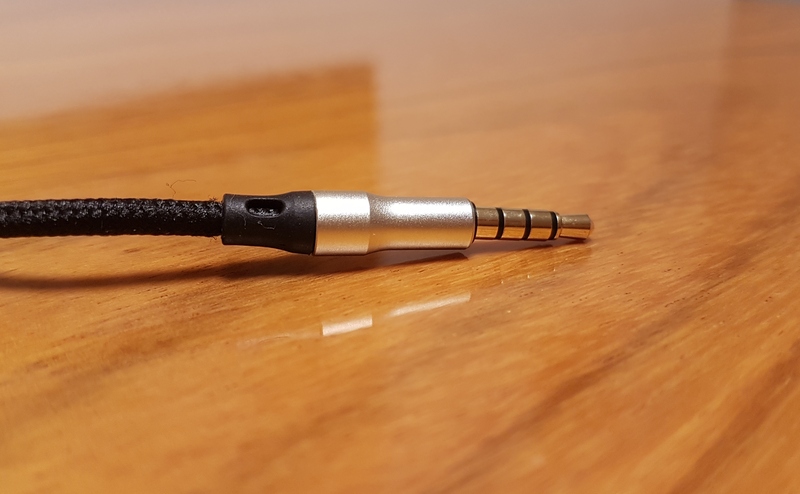 The cable is detachable, they come with 2 cables which are covered in fabric below the y-split and rubbery above, the 3.5mm jacks that go into the headphones are very slim so using aftermarket cables will be tricky, but the stock cables work fine and are well built. There is good strain relief and the microphone and controls on the shorter cable feel great. I have no issues with the build quality, and every part should be easily replaceable if anything goes wrong. Accessory wise you get a nice hard carry case that is just the right size to fit the headphones in, they do however fit better if you remove the cable before putting them in the case. 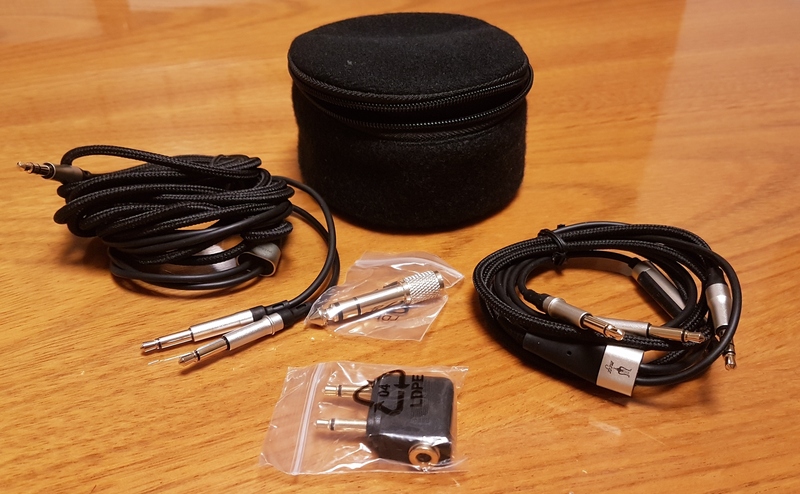 You also get a little fabric pouch that holds the rest of the accessories, like both cables (1.2m with mic/controls + 3m regular), airplane adaptor and 3.5mm to 6.3mm adaptor. Overall the included accessories are brilliant and everything you need to get going. 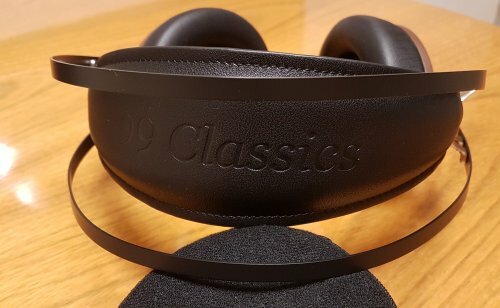 The 99 Classics are super comfortable, the self adjusting headband distributes the weight perfectly and they are pretty lightweight anyway. The earpads have changed since they originally came out, to slightly larger ones that fit my ears fine and are just the right depth. These are closed back so your ears will heat up a little over time, but overall they are very comfortable and I can wear them for long periods of time with no issues. Isolation is pretty good on these, not as good as most IEM’s but they do drown out most moderate noises quite well and would be perfect for office use. They don’t leak either, and they would also suit general daily use well. Lows: The 99 Classics have a great low end; they are full with good extension yet without sounding too bloated. There is great articulation of bass guitars, and they sound relatively well controlled too. 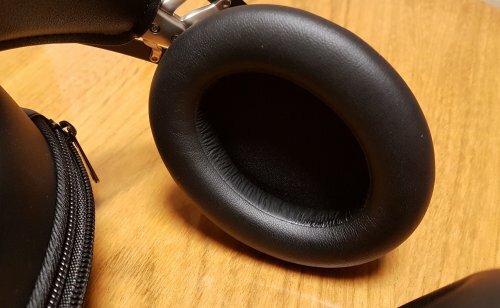 There is one tiny bit of resonance in the mid-bass that creates a little bloat, but this can easily be fixed with EQ and this is a result of the newer larger earpads. I really like the low end response of these as they have enough quantity to please most, but they are also well behaved for the most part; without bleeding heavily into the midrange. As I said previously, bass guitars have really good articulation, and kick drums have good slam. The lows only fall slightly behind when it comes to very fast and technical passages of some heavy metal where that mid-bass resonance can be a little overpowering. Mids: The midrange is well separated from the lows, there is a small amount of bleed but for the most part they are clean and well detailed. The strengths here are timbre, acoustic guitars sound exceptional and there is great separation in the midrange. Both male and female vocals sound excellent, with plenty of detail but no harsh or sharp edges to notes. 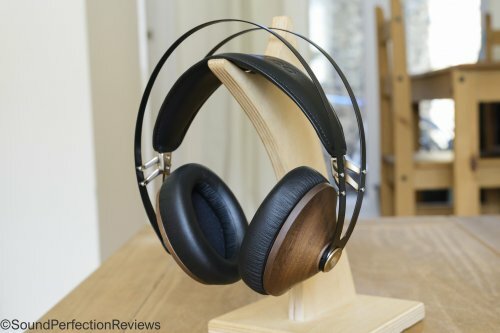 They are not quite as forward as the lows, but these are not really v-shaped sounding headphones, they manage to have a full low end with an insightful midrange too. Electric guitars don’t always have the bite that some more neutral headphones have and notes can sometimes sound a little rounded. But they are fatigue free with a smooth transition from the midrange to the highs. Highs: The treble response of the 99 Classics is actually fantastic, it is smooth and fatigue free but not lacking in detail or presence. I was worried with the bump in the mid-bass that these headphones may come across a little dark, but again after spending some time with them I was pleasantly surprised at how transparent they are in the treble regions. There are no annoying peaks, they are not aggressive but they are resolving with good air and extension. 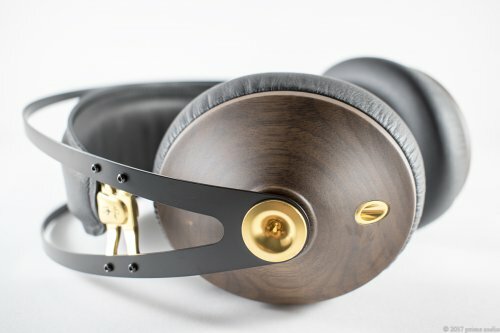 The key up here is the tonality, they avoid the slight metallic tone that some headphones suffer from, and they are very natural and effortless. 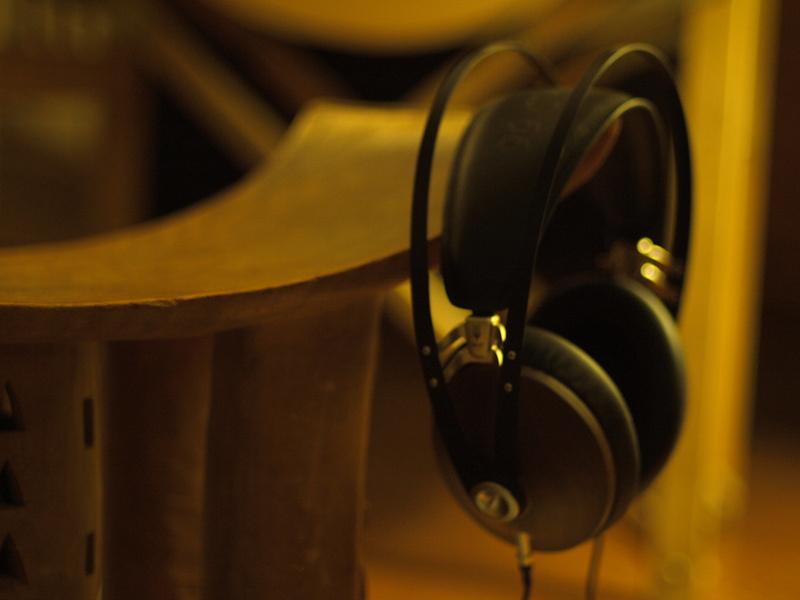 The soundstage is wider than most closed back headphones, but they are not the most spacious sounding headphones. There is however good separation between everything and you can easily separate complex mixes. Conclusion: As I said before, the more time I spent with these the more I came to appreciate their strengths and sound. At first some might find the bass to be the focus point, and in some ways it is, but they strike a fine balance between sounding fun and technical prowess. They do have a slightly elevated bass response, but the midrange comes across with excellent clarity and the highs have an effortless tone that is always present but never fatiguing. As a whole the 99 Classics individual attributes come together to create a relatively well balanced sound that is highly enjoyable without forgetting about the finer details. Halam, MezeTeam and Wyville like this. While far from claiming to be an audiophile, I have always appreciated good quality sound – driving from Devon to Cornwall to buy Heybrook HB1s and later becoming obsessed with Irving M. Fried’s ‘IMF’ transmission lines. After a succession of headphones that broke far too soon I settled on the Soundmagic E10 and the Grado SR60s. After a year the Grado’s cables detached from the cup but welding them back proved a simple fix. After a while, however, it seems I had welded them one time too many and they packed up. 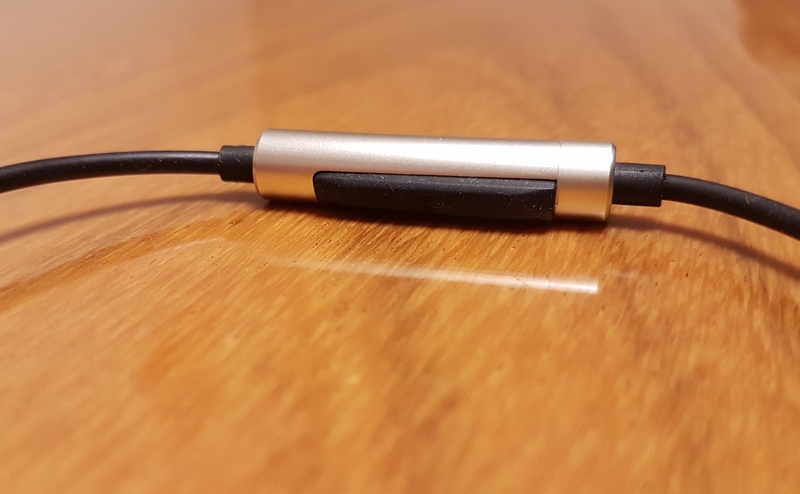 The Soundmagics lasted a few days longer than their warranty before their (non-replaceable) cables also packed up, and the electrical shop wouldn’t even look at them – saying earphone cables were too small and fiddly to repair. I had had enough of headphones that were neither robust nor repairable. But I wanted good sound! 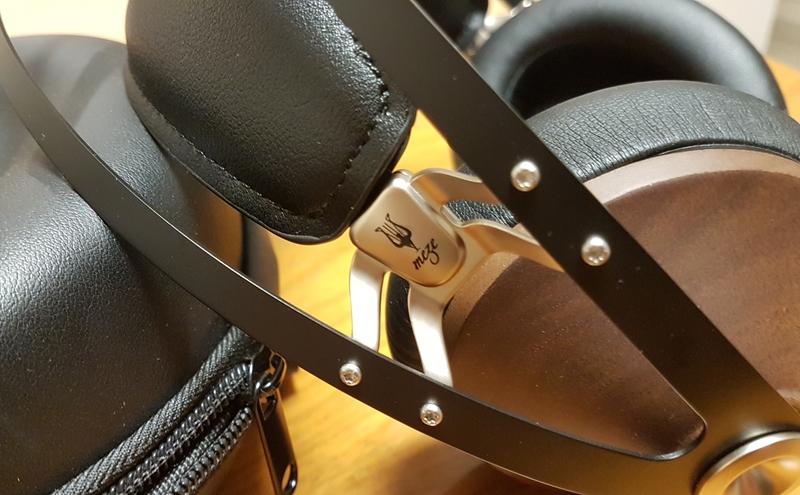 I visited Harrods, Selfridges and John Lewis in London to try on everything from high end open back to budget headphones – keeping an eye out for that rare thing, great sound and robustness. 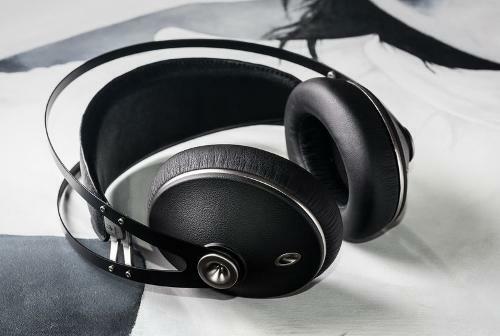 In the middle of trying on the much-commended Oppo PM-3 headphones in Selfridges, an employee pointed me towards the Meze 99 Classics, signalling that these were his favourites. I didn’t recognise the brand and had never been a tremendous fan of AKG-like headbands, which these had, but tried them on briefly. I was taken aback by their sound, which stood out from that of the other portables I had been trying. Later, seeing Meze’s claims about build quality with the rare words ‘built to last’, combined with the reviews on this page, I was even more curious about the headphones. Disclaimer: I wanted to trial the Mezes more thoroughly outside of the busy store and Meze very kindly provided me this pair for review. My interest in these headphones was based largely on accounts of sound quality on this page and many reviews cover this part well. Here is my novice interpretation. Immersive. When first listening to the Mezes in the store I was absorbed by the particular nature of their sound, unlike my experience with other headphones in the store. This quality held up while trialling them more thoroughly. The 99Cs make you want to listen; I found hours went by immersed in the music. Portable, adaptable. Another appeal to me was the fact that they were said to be driven well without an amplifier and that they suit many genres of music. To me, this made them both portable and adaptable. Playing through a phone (a Huawei P9 Lite) produces plenty of volume. They sound as good playing folk band Lau’s ‘Lightweights & Gentlemen’ as they do grime artist Kano’s (wonderfully produced) ‘Roadman’s Hymn’. Nitin Sawhney’s ‘The Pilgrim’ sounds as spellbinding as it should, with wonderful soundstage and separation. The detailed midrange means Joss Clapp’s guitar in Kathryn tickell’s ‘Air Moving’ is a joy. The sub bass isn’t conjured out of nowhere but controlled and satisfying where I want it, as in Murlo’s ‘Lava Leaf’ and Joker soundtrack ‘Why So Serious?’. The treble in Penguin Cafe Orchestra’s ‘In the Back of a Taxi’ is crisp. After listening to them briefly with an Arcam Alpha 8 amplifier, I'm sure there is even more to get out of the 99Cs with decent amplification. 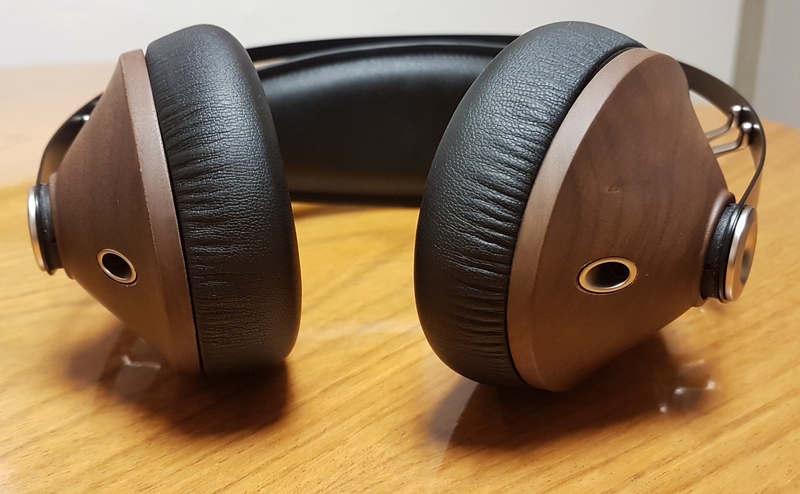 Sonically, the 99Cs impressed me more than the B&W P5, P7, PX, B&O Beoplays, Bose QuietComforts, Sennheiser Momentums and Oppo PM-3s. 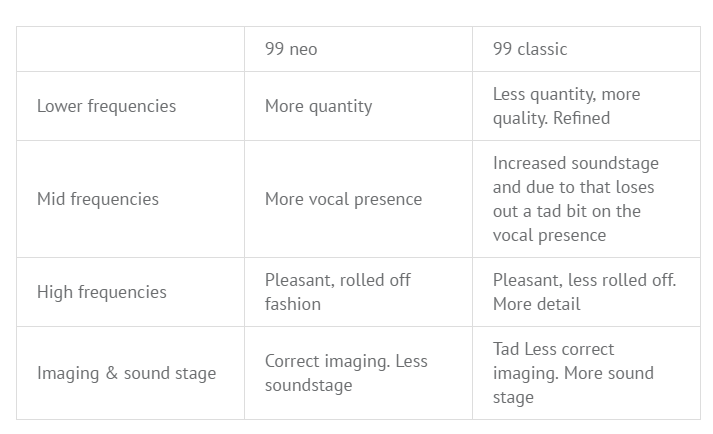 Of course, some of these have dramatically different emphases, but I found that unless you have a particularly strong liking for bass emphasis (Momentums) or accuracy (Oppo PM3 – which I didn’t find nearly as engaging! ), the Mezes were an incredibly solid contender. It might be interesting to compare them to the Denon AH-MM400s, which I tried once and feel could be somewhat comparable – although I’m not sure if the Denons are as repairable. I find the look and functionality come together very well. The wooden cups are exquisite, and the whole thing has a very 'quality' feel. The initial prejudice against the metal headband design is long gone, I find it brings the headphone together well. The ear cups feel good and isolate decently for commuting, although they can occasionally get a bit warm and sweaty. The adjustable headband strap is simple and works as it should. A very minor point I find is that the metal headband can resonate quite loudly when tapped or knocked. It is impressive that a company’s first headphones can tick so many boxes that other manufacturers fail to address. 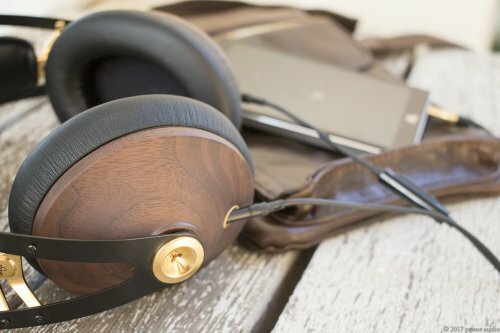 I would choose these headphones alone for their sound character; soundstage, natural presentation and absorbing qualities alone, but their exquisite build and serviceability in the portable headphone market really sets them apart. 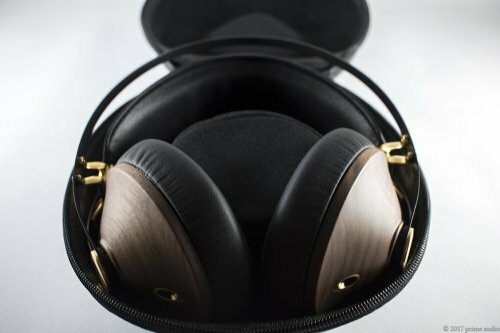 It feels like a rare find, to come across a small company making such fine headphones in this price bracket; I wonder how long it will be before they appear everywhere? Halam, MezeTeam, Shane D and 1 other person like this. About me i can say i am a music lover,not an audiophile-if audiophile means to use music to listen to your equipment,that's not me -trying to find best ways to enjoy my music,because in the end that s all that matters -and started to be interested in headphones 5 years ago.Started like many others with Ath M50;AKG K550; after that i made the transition to open headphones:Sennheiser HD650,HD600(i loved these cans for their naturalness and neutrality);AKG K500 and K501(one of the best from AKG better in my opinion than AKG 7XX series,amazing for classical).After that i stepped into the high-end area with Beyerdynamic T1,followed by Hifiman HE500(which i curently own and will remain with me) and recently bought HD800S(i like them but to soon to have a clear opinion). When i first received the headphones i did not know what to expect because i am a little bit skeptical knowing that many products are overly hyped but it was not the case here because is clear that guys from Meze have made much effort and have been very careful about the tehnicalities when they build these headphones. Overall what struck me when i first opened the box was their beauty with the classy look and lovely walnut wood cups,amazing job guys. For testing the heaphones i used Cavalli Liquid Carbon amp on single ended output with Peachtree daciTx:i have another good amplifier class A -Musical Fidelity m1HPA-also with very low output impedance(<1ohm) but the sinergy between LC and 99's was excelent,it surprised me because warm amp with warm headphones don't look promising,but like i said was v.good. 1.Glass Animals-Black Mambo(Zaba)-perfect track for testing punch,the size of the scene and imaging.The 99's make an amazing job here reproducing the ambiance,effects,sound stage with very good punch all the track.The vocalist sound clear and natural and the mid bass is good ,not overemphasized. 2.Halie Loren-Ode to Billie Joe(After Dark)-the voice of Halie is very clear an nuanced in an intimate presentation,the stage has good depth with the double bass clearly behind her with good subbass and drums in the right side ,good imaging,nice rhythm. 3.Muse-Psycho(Drones)-the guitar on the right side of the scene sound natural with good definition all the track,the width of the scene is medium with the back dialogs that are very clear.Overall good representation but with a little closed in sound normal for a closed back headphones(bear in mind i compare them with HE500 and HD800S). 4.Primus-My name is Mud(Pork Soda)-this track is a real test for weaker headphones and it turns into a mess because of it's complexity with alot of things going on but of course is not the case here.The eco and ambiance are very well played with the voice behind with good depth and clarity ,guitar solo on the right sound superb.The only complaints here are that on the final solo guitar is missing a little bit attack and the midbass on the entire song is a little bit exagerated but does not negatively affect the entire presentation. 5.Hans Theesink-Six Strings(Life Line)-amazing blues artist with very high grade recordings;this song sound beautiful on the Meze with hes amazing voice,the guitars a real pleasure with that nice choir of women,good separation,width and depth. 6.Villa-Beats of love,C90s remix(Ritz bar Paris-session one)-this track have a good PRaT ,rhythm,all the instruments and effects sound very clear with perfect highs(for example on my HD800S the highs are a little piercing).The mids are good with the whispering voice that sounds clear.The midbass is not overbearing ,keeping a good tempo. 7.Christina Pluhar-Orfeo Chaman,Act 2:Cubramonos con Cezinas(Orfeo Chaman)-this is a track test for voices and the size of the soundstage and i have to admit that on the HD800S is a real treat and it's hard to listen to another pair of the headphones,even on my HE500 it does not sound right. Voices on the 99's are nice but the other instruments are a little bit blurred,not enough air,the midbass is a little to much and the sound stage reaching its limits. 8.Imagine Dragons-Believer(Evolve)-this song sound big with clear voices,good articulation,punch and attack.Excelent. 9.Dexter Gordon-Tanya,Remastered 2015(One Flight Up)-i love this song,life changer ,i was not expected such a perfect representation with all the instruments at their places,the drums on the right cup sounds punchy with that vibration,piano and saxophone perfect timbre and definition ,good imaging,a real pleasure. 10.Erik Hassle,Vic Mensa-Talk about you(Somebody's Party)-This is the only track that doesn't sound quite right with to much sub and midbass,to thick,but again the voices sound correct with good separation,good spatiality. 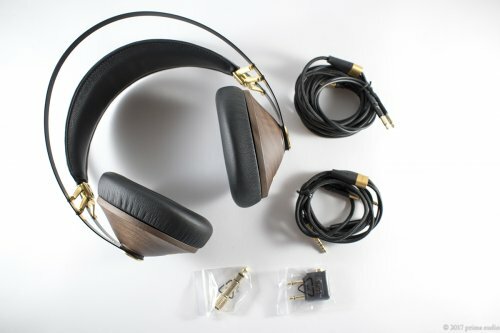 Overall a beautiful looking headphone,very comfortable with nice accesories and with a good balanced sound ,good mids,voices and instruments always sound right,natural,highs with good air,never fatiguing,nice sparkle on top.The mid bass is sometimes on some tracks to much but in general unintrusive or lead to a fun presentation,never boring. I didn't test them on pop and rap because i never listen to this genres but i think they are doing very well. JediMa70 and MezeTeam like this. Pros - Serviceable build with added longevity. Gorgeous, lightweight, comfortable. Fun, intoxicating sound. Cons - Quite a step up in price from the 99 Neo. "Remember this: classics never make a comeback. They wait for that perfect moment to take the spotlight from overdone, tired trends." 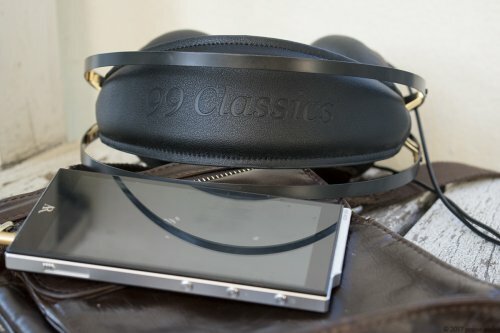 In 2015 Meze Audio released a headphone called the 99 Classics which led to what they call their "breakthrough year". It was their first headphone created entirely in house whereas before they were buying components externally. The Classics took the audio enthusiast community by storm and suddenly we were seeing it everywhere and just about everyone seemed to own one. What was it that made them so desirable? Well, there were a few reasons they have been so successful. First of all they look dope, especially if you're a fan of wooden earcups. They have a design aesthetic that's is immediately appealing with it's simplistic elegance. Not only that but they're built with longevity in mind, each individual part being easy and inexpensive to replace. They also sound good, which obviously matters as fickle audio aficionados aren't going to buy something purely on looks alone. Wrap all that up with a very affordable price tag and the rest is history. 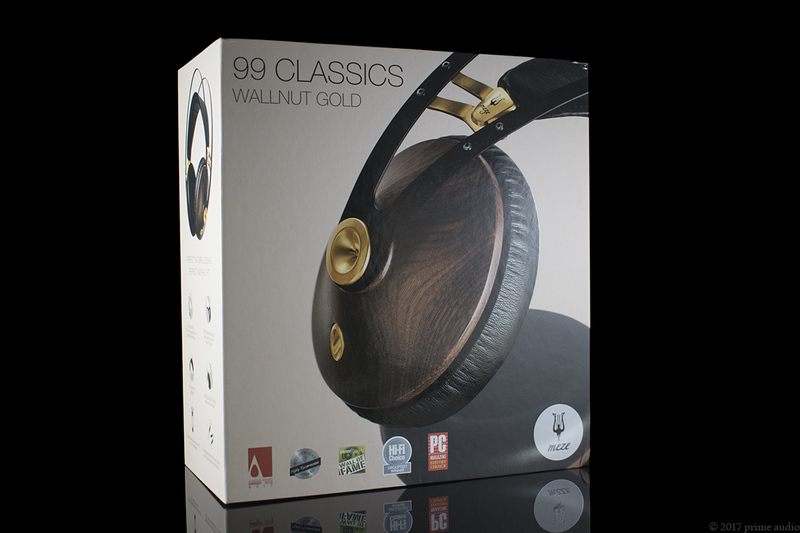 Today I'll be taking a much belated look at the walnut and gold variant of the Meze 99 Classics. This sample was provided for the purpose of an honest review. I am not affiliated with the company and all observations and opinions here are my own, based on my experience with the product. The Meze 99 Classics cost $309 USD and are available from the Meze Audio website and Amazon. The 99 Classics come in a tasteful white box with a nice picture of one of the earcups on the front and back along with some of the various awards the headphones have collected since their release. There are some specifications and features listed on the sides and first impressions are positive. 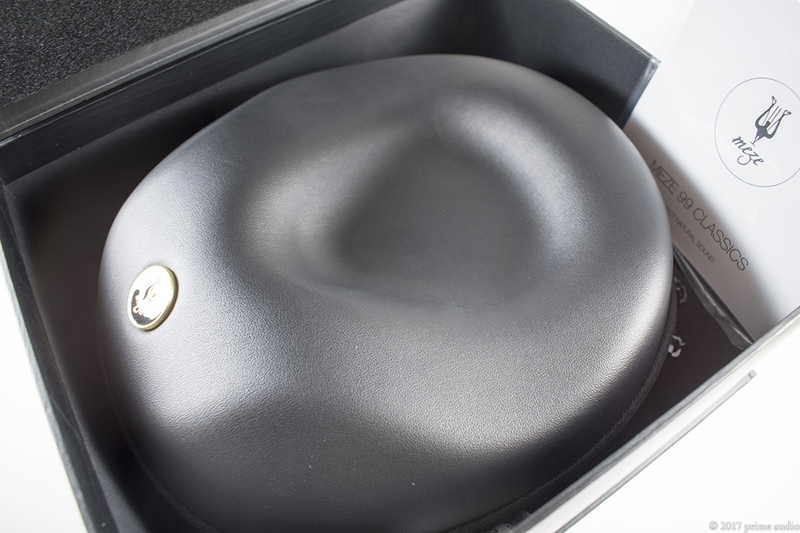 Opening the box we find a very nice, contoured, clam-shell carry case with a smooth matte texture and finish. I actually like this more than the one that comes with the Neo although they're essentially the same albeit with a different finish. 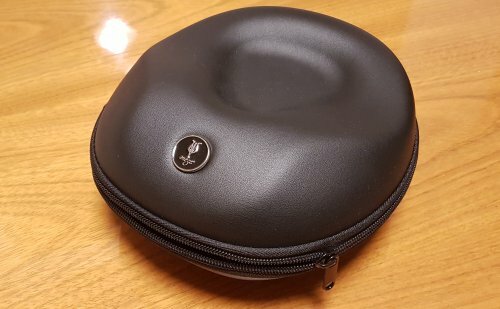 Inside the case are the headphones and another small zippered pouch which contains two cables, an airline adapter, a 6.35mm adapter, user manual and warranty information. 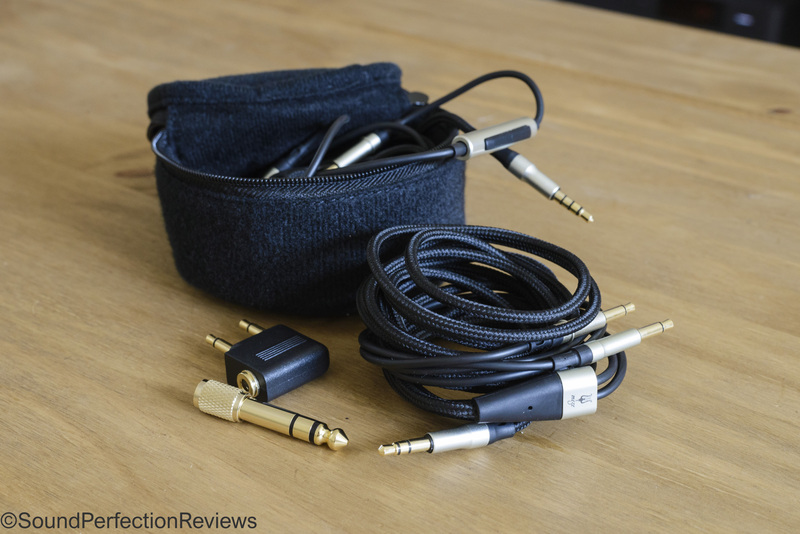 Let's look at the two cables - one is ten feet long and ideal for desktop or living room use and the other four feet long with an inline control and microphone which is great for portable use, whether you're taking the Classics outdoors or just moving around the house. Both cables have a braided material cover from the plug to the Y-split where it changes to a rubberized style to reduce microphonics. They Y-split has a nice gold band with the company logo and this matches perfectly with the gold accents on the headphones. At the top are two 3.5mm plugs and both cables terminate in a straight, gold plated 3.5mm plug. These cables have just the right mix of strength and suppleness so they feel durable yet sit and roll up nicely. 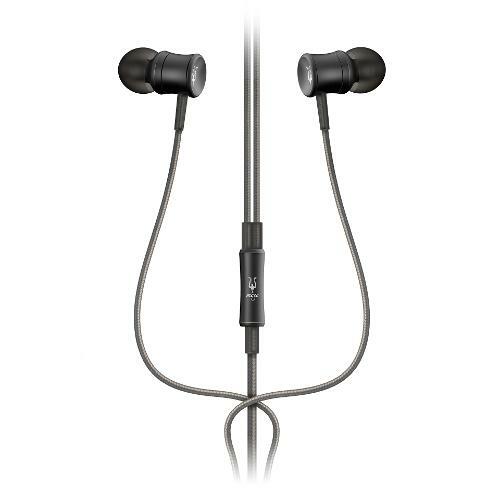 For many users appearance is an important factor when purchasing headphones. If you're one of those people then this could be the one for you. Enter the Meze 99 Classics with their simplistic yet sophisticated and elegant looks that are so easily distinguishable from all the rest. In a lot of cases if a single piece or section breaks you're up the brown creek in a barbed wire canoe or in other words, you're out of luck and have to start looking for a new headphone. Well this isn't the case with Meze's 99 series headphones as they've been designed in a way so they can be fully disassembled. Thus if a component breaks the headphones are still fully serviceable. You can simply order the replacement part and get yourself back up and running in no time. Kudos to Meze for doing this rather than going with the usual "designed to fail" practice of so many products. Starting with the spring steel headband which is very sturdy but also due to the minimalist design using two thin strips it's very lightweight. Attached to this via a cast zinc alloy cross structure is the wide and well padded self adjusting headband. The steel headband extends all the way down to where it's attached to the center of the earcups. The conical earcups are made from a single piece of wood - in this case walnut, which not only looks great but has wonderful, natural resonating properties. On the underside of each earcup is where the 3.5mm cable plugs connect, again highlighted with a subtle gold ring surrounding the holes to fit into the the overall style. Onto the earpads now and I believe that these have been improved since the early versions of the Classics and now share the same ones that are used on the 99 Neo, being a bit thicker and more plush than the original ones. They're large enough to fit around my big ears and deep enough so that my ears don't come into contact with the driver covers. These are very comfortable headphones and I can wear them for hours on end with no discomfort whatsoever. They are closed backs though so if the weather is hot your ears can become a little warm over time. 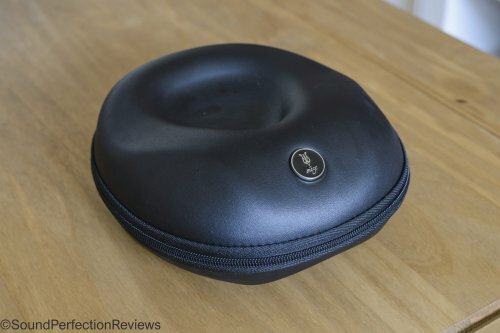 The earpads are soft and plush, clamping force is just enough to hold the headphones steadily in place without putting the squeeze on your precious dome and the headband sits really nicely without any unnecessary pressure on the top of your head. This along with the light weight means top marks for comfort. Isolation is about average for a closed back headphone so they do block a good amount of external noise and should be suitable for most situations whether at home or out and about. The 99 Classics are very easy to drive. With an impedance of 32 Ohm and 103dB sensitivity they can be paired with just about any device. The Galaxy Note 5 had no problems driving these and for my preferred listening level 70-80% volume was plenty loud enough without any noticeable drawbacks. Obviously using a high quality DAC or amplifier is likely to give even better results. Because of their warm and bass heavy nature I prefer to use them with a neutral or bright source but in fact they still sound great regardless. After having experience with the 99 Neo I had a fairly good idea what to expect from the Classics and I was not disappointed. Just like with the Neo the first thing that struck me was the bass - again there's a lot of it. Then there's the silky musicality and superb tonality. The 99 Classics have a fun approach to sound reproduction but that doesn't mean they can't also take on a serious tone. Listening to Beethoven's string quartets is just as satisfying as some hard hitting Infected Mushroom. There's an energy to the Classics that belies their technical ability. As I mentioned above there is loads of bass present and while it's not the most controlled and sometimes even a bit loose it does sound very natural. Bass notes are fairly rounded, so they don't have a sharp or etched presentation but one that is more liquid and relaxed. There is a little bass bleeding into the midrange but it's not a detriment, it just adds to the overall warmth and the mids are not compromised as a result but rather enhanced by it. Sub-bass hits pretty hard but isn't as prominent as the mid-bass. There's enough of it to give you that sense of an earthquake without bringing the house down around you. Midrange on the Classics is definitely one of the highlights. Despite the warm overtones the mids still manage to reveal a great amount of detail and maintain their excellent tonality. Vocals are forward sounding but not overly intimate and possess that same silky smoothness throughout. It's organic, natural, even and ridiculously easy to listen to. Just like with the Neo stringed instruments sound amazing from classical pieces to the crunch of electric guitars and everything in between. Treble has a crisp and airy appeal that brings some much needed lightness to balance the Classics' warmth. There's good extension without ever being harsh or sibilant. It really helps to bring out some of the detail that might otherwise be lost in the richness of the bass and mids but somehow Meze found the perfect amount to keep the balance without making the headphones overtly V-shaped. For a closed back headphone the Classics have a great soundstage that provides immersive depth and excellent layering throughout. Imaging is superb and instrument placement makes for a truly engaging experience. This also makes the 99 Classics a pretty good companion for gaming and watching movies too. 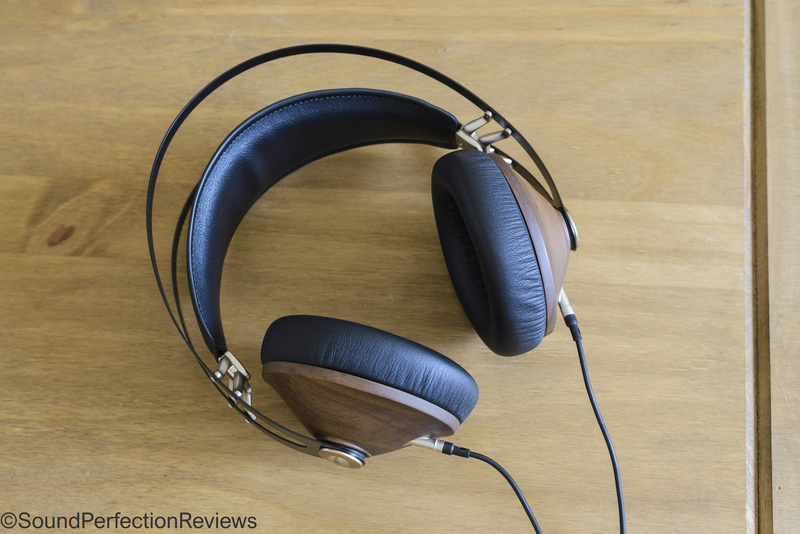 The Neo comes very close when it comes to audio quality but the Classics seem to have something that gives them a slight edge. Is it worth shelling out the extra money for the Classics? When it comes to pure sound there's not much in it but the Classics do seem to have a little more refinement, most notably for my ears in their treble which has a little more sparkle and air and in the bass which is slightly tamer and tighter. 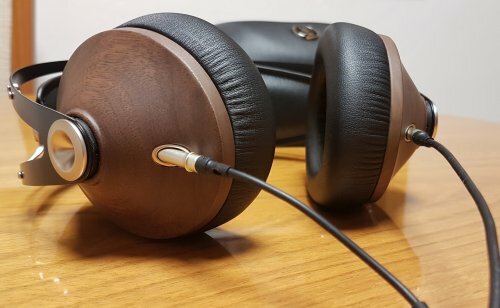 In terms of appearance the two are obviously very similar but for me there's something about wooden earcups that makes them that much more desirable. Either way if you buy one or the other I'm sure you'll be more than pleased with the results. *The next two comparisons are basically copied+pasted from my 99 Neo review (here) because the Neo and 99 Classics are so very alike in terms of sound quality. The DT990 is well known for its strong V-shaped signature so it has similarly boosted bass levels but also has a lot more treble as well. It’s more resolving than the Classics and reveals more small details but can get a little strident or overenthusiastic on the high frequencies. The DT990’s bass notes are more defined and controlled bringing more punch where the Classics brings the thump. Both headphones are exceptionally comfortable and well worth their respective prices. The 860 is much more linear across the board so offers a very different sound compared to the Classics. Bass is tighter and faster without any of the same boomy properties found on the Meze. Midrange in comparison is a lot thinner and less lush than the Classics'. The treble is where these two have the most in common, being neutral-ish on both. The 860 reveals more details in music but presents itself in a more accurate and less emotive manner compared to the “fun” tuning of the Classics. So there you have it. It was almost a forgone conclusion after experiencing the 99 Neo that I would enjoy the 99 Classics but I didn't expect to enjoy them that much more. Yes, they sound very similar indeed. Yes, they look similar but there's just something about the 99 Classics that I love. It's an experience from the moment you pick them up until real life obligations or things like food and sleep force you to put them down. 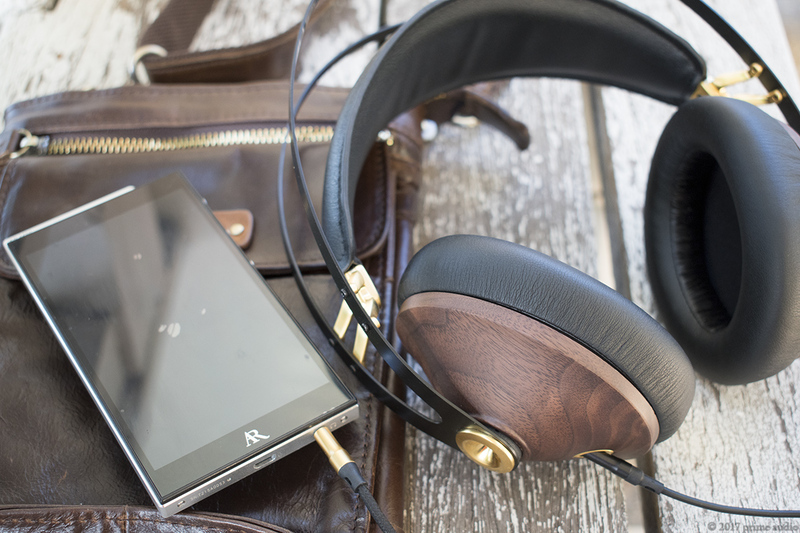 They're attractive, lightweight, comfortable, portable and a totally enjoyable listen. They're fun but they also give you juicy detail, great extension on both ends, a full-bodied and rich midrange. They're easy to drive and sound good even straight from a smartphone. 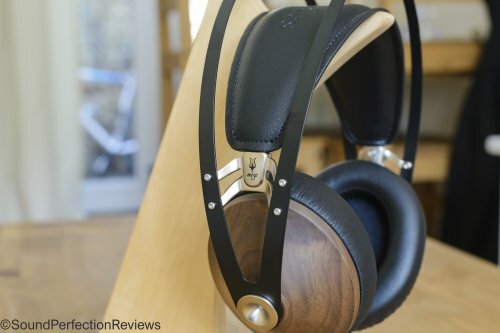 If you're looking for a pair of headphones and $309 is within your limits then the Meze 99 Classics come highly recommended from me. Maybe Meze Audio knew they had something special on their hands when they named these Classics because they have essentially become that in their own right. Halam, MezeTeam and Bansaku like this. Cons - Not that different from the neo. debatable if its worth an extra 100. 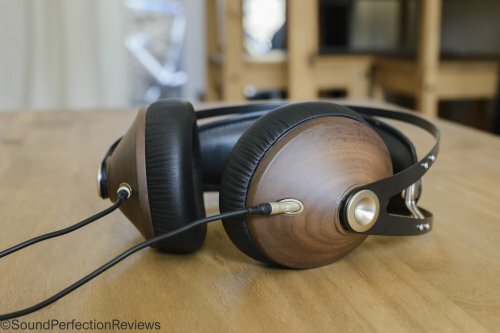 Previously, I reviewed the Meze 99 neo, a great headphone that everyone on my team loved. I even put it as “all in one solution” for both home and portable usage. 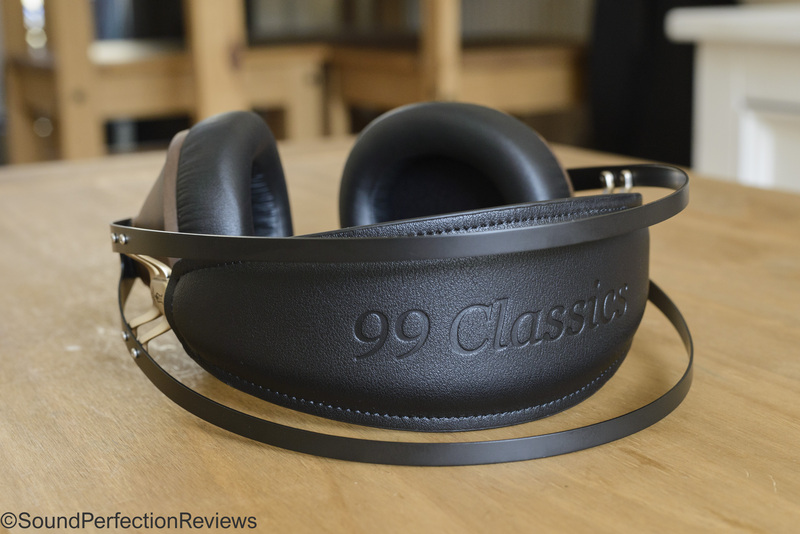 Now we review its bigger brother, the Meze 99 classic. With minimal differences, I was doubtful that there would be any sound differences. However, to my surprise there were few notable differences aside from the “looks.” Read on to find out more. Meze is a Romanian audio company that has their values set right. Meze Headphones had stood by its values since the beginning of the company, we did not follow trends and let them influence the audio quality and design of our headphones. They are timeless objects that will not go out of style the next season. We achieved this through patience and dedication. 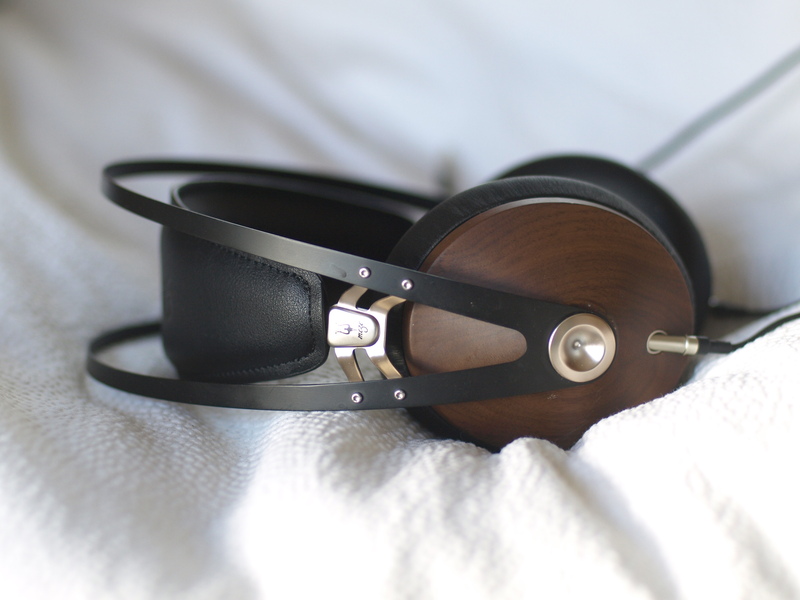 Our passion for music and art is the drive behind Meze headphones. We created our range of headphones and earphones with this aspect in mind. We created them as if for ourselves. The choice of wood is an inherently difficult one. Obtaining the desired qualities for wooden parts is a long and hard path. The rich colors of walnut require the use of air drying, the longer and more expensive process. Steam or kiln drying are cheaper techniques, but the colors tend to be washed out and there are also structural risks. It takes eighteen months for the wood to dry properly. This is the timeframe needed only for curing and drying the lumber before any further processing can begin. We are patient: we know that the result is worth the wait. Then, the process of shaping just a single pair of earcups takes up to 8 hours. The whole process of sanding, lacquering, and finishing lasts 45 days. We could cut corners, but we don’t sell ice cream. We fight time: this is the pride of the creator. The craftsmanship of our designs is paramount. It allows us to show the world our products almost exactly as imagined. The wooden components are carefully inspected and no flaws are permitted to reach the final assembly. Aesthetics are as important for us as they are for you. We want you to wear a pair of Meze Headphones and know that you are enjoying a timeless art piece. 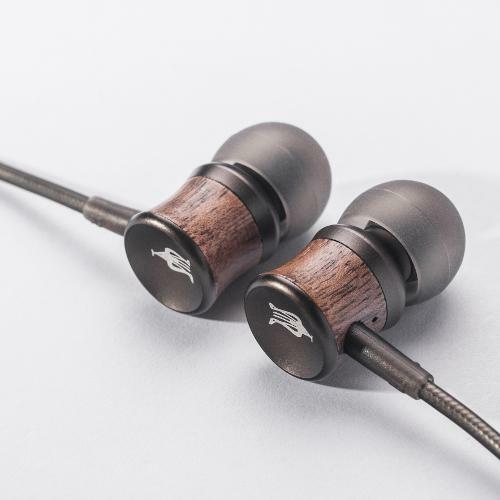 It is worth mentioning that all the wood that we use in our headphones is strictly harvested from sources with certificate of origin. That is, mature trees that have reached the end of their life cycle. 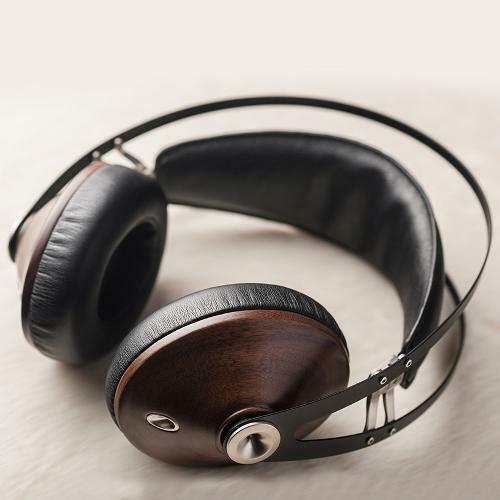 This way, we are helping the environment and we’re giving the old trees a chance to shine one more time in the shape of Meze Headphones. The build quality is incredible for the price and I have no complaints. Might as well skip this section if you are looking for anything but praise. Unlike its little brother, the classic comes in nice walnut wooden cups, which in my opinion looks incredible and contributed to the sonic characteristics of this unit. The connectors are 3.5mm and terminates in a 3.5mm with a ¼ inch adaptor. The clamping force is less than the neo, which I believe contributes to the sound differences. You want to talk about style. Let us talk about style. 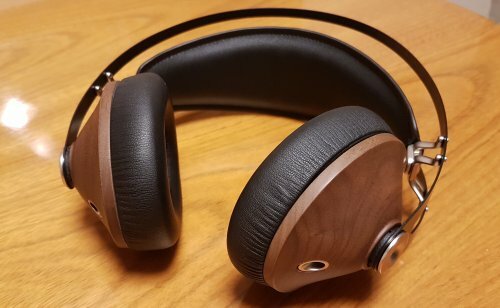 Hands down, my favorite looking headphones. I personally like the wooden design more than the 99 neo. 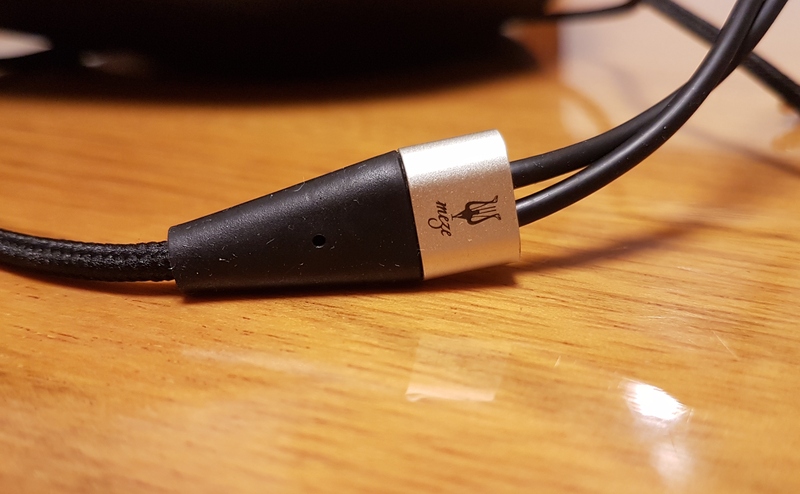 Overall, the sound signature is like that of the neo, so go check out that review for more “how it sounds like,” here, I will be talking about the differences. What I believe changes the sound: different clamping force & wooden cups. There is not much sound difference unless you really sit down and go back and forth numerous time on the same track. If you want a great all in one solution at a cheaper value, you go with the neo. If you have a big head or really like wood then you go with the classic.